Lightweight, compact, strong, adaptable, these are just some of the Crosswalks characteristics which makes it the perfect pushchair for all lifestyles. 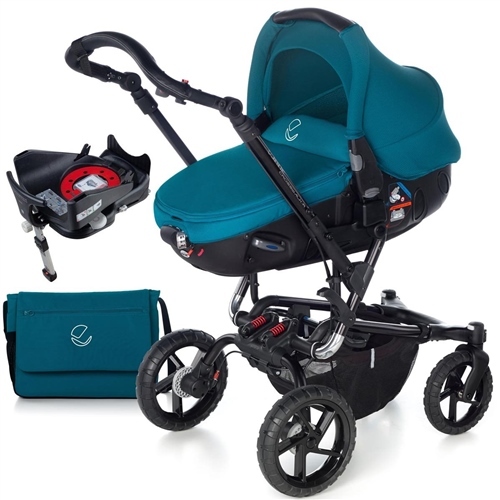 Its advanced features make the Crosswalk a nimble, easy to manoeuvre pushchair. Its exclusive large PU tyres, 10 times more resistant than traditional tyres, have great shock absorbing properties. FREE Co-ordinating Pram Bag with Changing Mattress. FREE Co-ordinating Reversible Pushchair Seat Liner. I have a light weight tubular aluminium chassis with independent suspension and shock absorbers for maximum comfort over all-terrains. I’ve got large all-terrain wheels with PU tyres which are 10 times more resistant than conventional tyres. Crosswalk has a more spacious seat with reclining multi-position backrest. Pro-Fix system locks and unlocks car seats with just one movement, no awkward fixing kits required. Complete with the Matrix Platform - Making Matrix the first carrycot in the world with isofix. Jané understands that you will be taking your baby in and out of the car and pram on a regular basis and that this process needs to be easy, yet reassuringly safe. The Matrix Light 2 simply clicks on and off the Matrix ISOFIX Platform in the car and will click on to the chassis of a Jané pram in seconds, simply ‘Click & Go’. The ISOFIX base, Matrix Platform - Turns Matrix into the world's first carrycot with ISOFIX. I have started researching strollers/prams/pushchairs since I found out I was pregnant and I have compared and read about all that there is in the market today. I can honestly say - Jane strollers ticked all boxes for me: stylish, sturdy, 180 degree reclining seat, big hood, high seat, easy to fold... It is actually a pleasure to push around in town and park/off road because of suspension - me and my husband fight every time who gets to push it! Baby is very comfortable in it and there is enough space for him to grow. I really like hand brake and basket is decent size. Quick delivery and it took me less than10 min. to open box and assemble it. Love it!